The Year of the Green Wood Sheep may be a very challenging year for those born under the Chinese zodiac sign of the Rooster. There will be many changes and you may find that the way you look at the world is one of those things. Some of your beliefs may be tested and you may come out of this year with a new perspective on many things. If you stay strong and true to yourself, you should be able to weather whatever challenges the year decides to throw at you. 2015 may presents many challenges for the Rooster. You are going to have to work hard to overcome these challenges, but you may also find that you need to change the way you deal with certain situations, particularly in your romantic life. This Chinese New Year 2015 is where you will learn a lot about yourself and the people around you and it may not always be pleasant, but you will walk away from this year better because of the learning experiences. For those born in the year of the Rooster, the year of the Ram is going to be a very difficult year. It is a year that will change your relationships and how you deal with the world. You should be able to rise above the challenges and come away with a better attitude towards life. The Year of the Rooster 2015 predictions show that love will not be easy for you and that will affect your romantic life as well. If the world is getting you down, you may be tempted to cling to your romantic partner and take comfort in them and this could lead to tension if they feel suffocated. You may find that you need to step back and give your partner space, even if it goes against your natural instinct. If you are single, you may find that you want to dive into a new relationship head first. But you need to be cautious and see if you are compatible in the first place. Get Feng Shui Compatibility Readings. There are changes coming on the career and business front forecasts the Rooster 2015 zodiac predictions. These changes may feel very sudden and they may also be unpleasant. There could be some career setbacks coming your way in 2015. This is where your natural stubbornness comes in handy, it’ll help you dig in your heels and persevere. You should be able to whether the challenges and come out ahead in the end, but it will require a lot of hard work. 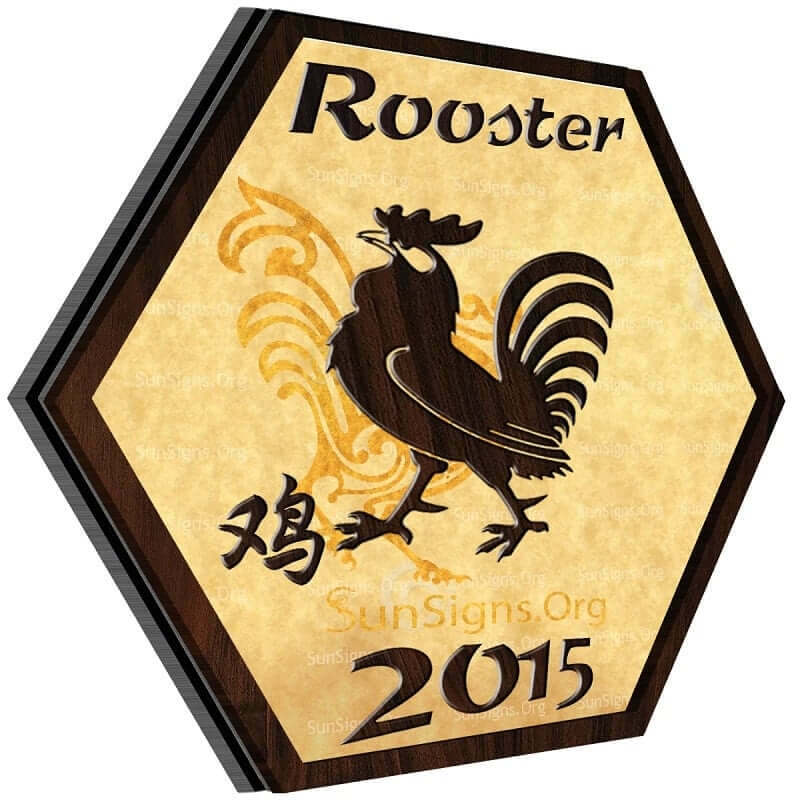 The Rooster animal sign should be very cautious financially this year. You may experience a few setbacks and unexpected expenses and you want to be prepared. This is a good time to try and stick to a budget. Living frugally will help you weather any financial storms that may be ahead for you. 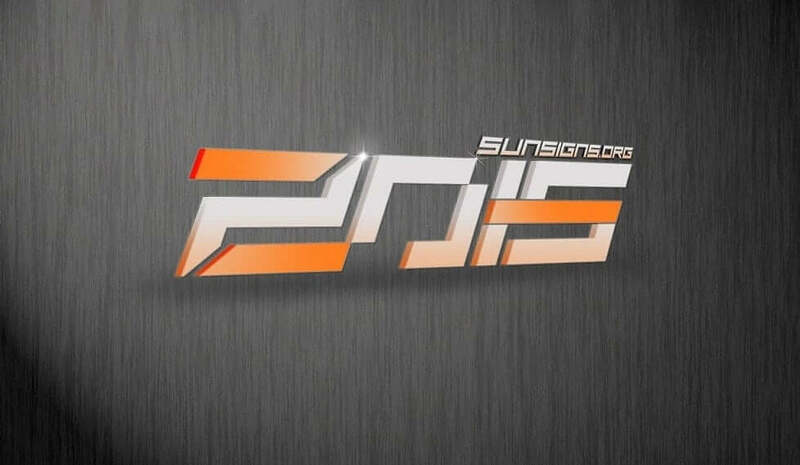 Chinese horoscope 2015 forecasts that it will be a challenging year on many fronts and that includes your health. There may be a health crisis looming this year for yourself or a loved one. Remember Rooster, to take care of both your mental and physical health. Take time to relax and try to detach from all the stress in your life. There will be a lot of honesty in your relationships this year Roosters and that honesty may not always be flattering. You will learn where you really stand with a few people and there may be some hurt feelings, but in the end you’ll be happier knowing who your real friends are. When life starts to overwhelm you, you can take comfort in your creative side. Your hobbies and interests will be what helps you through this year. They’ll act both as a source of joy, but also as an outlet to unleash your frustrations. The Rooster zodiac horoscope 2015 suggests that travel is not a good idea this year. Short business or personal trips might happen. Maybe a well planned vacation can bring some happiness in your life.